Are you looking for an experience that combines tradition and innovation? Try our Affinati in Amarone: over 10 years of research, we have reinterpreted a traditional idea that combines two excellent local products – our cured meats and Valpolicella wine. And we have taken it a step further, to conditioning in Amarone; we can now offer 4 types of cured meat, 2 cheeses and an Amarone jelly, all produced and patented by us. Let your palate be the judge. 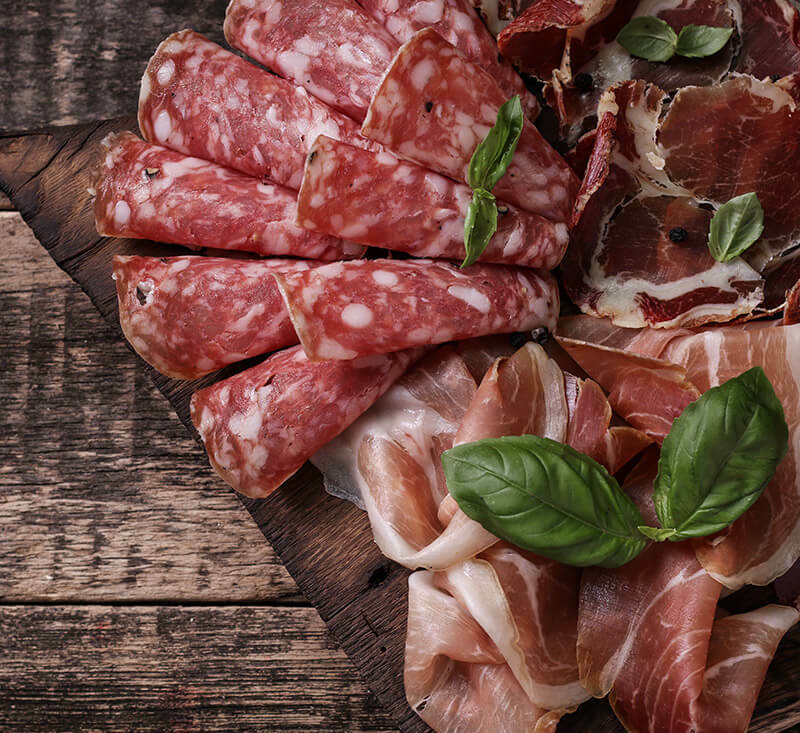 What’s so special about our cured meat products? It’s the flavour that comes from our artisan philosophy: everything is done by hand, following the ancient recipes of the Benedetti family. Have you tried one of our cheeses? You’ll smell the unmistakable aroma of a land and its plants. You won’t find anything else like it, because Lessinia and Valpolicella’s natural vegetation and climate make the flavour of the milk and cheese produced here special. 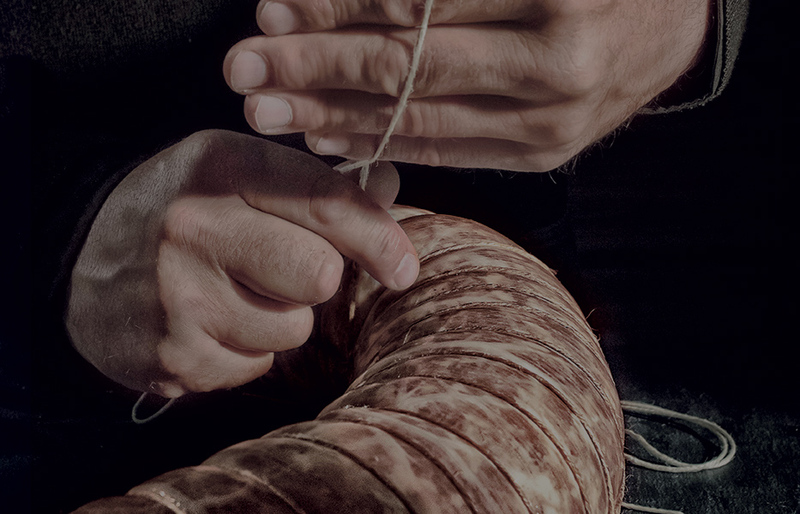 The rest comes from our skilled hands and our recipes, handed down the generations. What to choose to accompany our specialities and make your gastronomic experience even more unique? We’ve unleashed our creativity and started with fruit, local wines and traditional flavours to offer you a choice of jams, preserves, jellies and other delights such as our cream of lardo with topside. Naturally all produced and packaged by hand in our workshop and all made according to traditional recipes and our own adaptations. 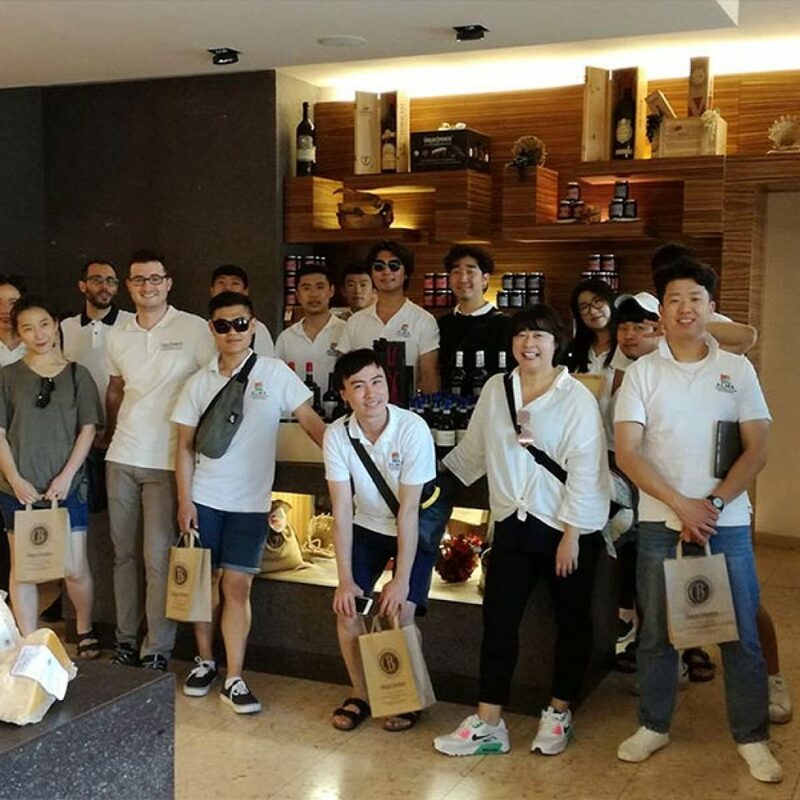 Continua la collaborazione con ALMA - Scuola internazionale di cucina italiana. 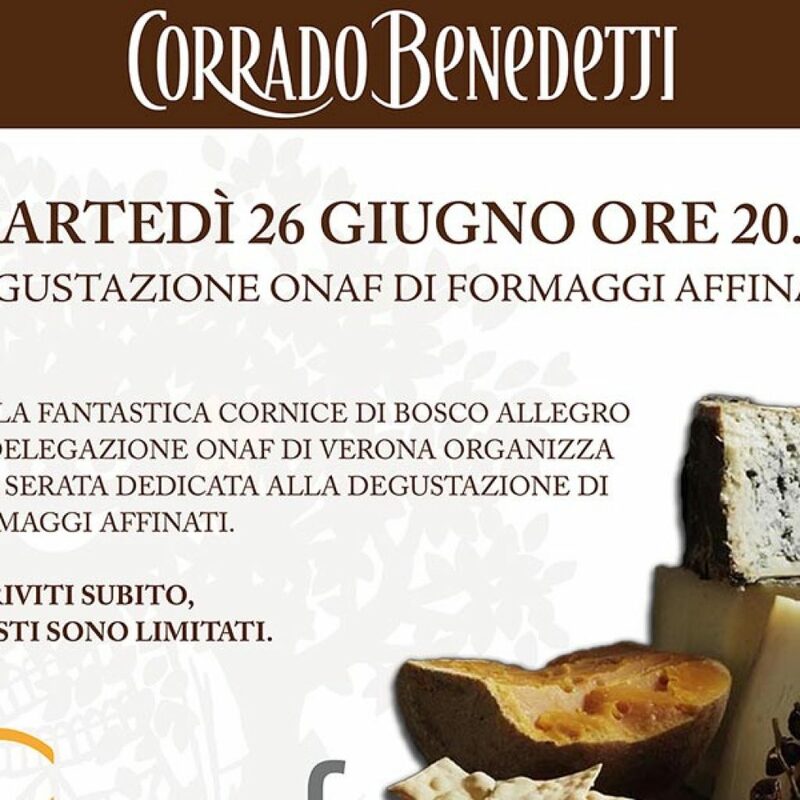 An evening entirely dedicated to the world of cheeses, particulary the refined ones. 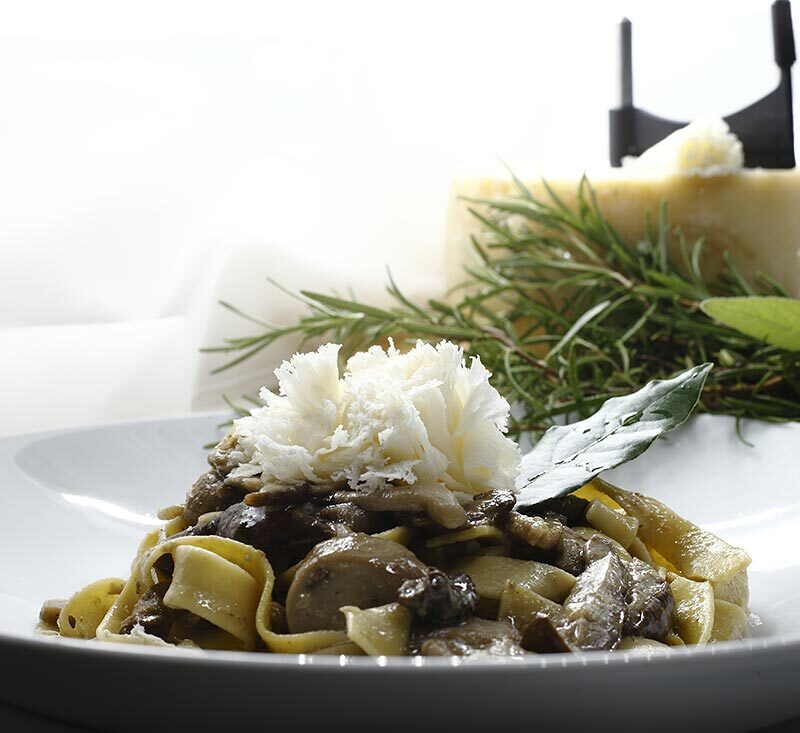 A traditional recipe enriched with the flavours of Lessinia; pancetta cured with herbs enriches the flavour and texture of the dish; Aromatico cheese conditioned with sage adds aroma and character, and the mushrooms create flakes which melt in contact with the pasta to give a rich, creamy dish with a true taste of summer. È innegabile: quella della famiglia Benedetti è una storia di buoni sentimenti. Anzi, buonissimi! Pasqua, col nome che già profumava di primavera e di festa, era l’amata figlia e l’aiutante preferita del mastro casaro Angelo Benedetti. Un po’ burbero come spesso erano un tempo gli uomini di montagna, profondo conoscitore della sua Lessinia, dei prati migliori ove portare le mucche al pascolo e delle lavorazioni tradizionali di questa terra, Angelo sapeva bene come mettere le ali al sapore dei suoi formaggi!